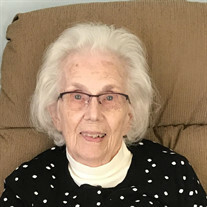 Dorothy A. Fransen, age 92, of Willmar, died Monday morning, Nov. 20, at Sunrise of Minnetonka under hospice care and surrounded by her loving family. Mass of Christian Burial will be held at 11:00 a.m. on Thursday, Nov. 30 at the Church of St. Mary in Willmar. Interment will be in the church cemetery. Visitation will be one hour prior to the service at the church. 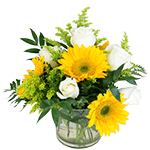 In lieu of flowers, memorials to the St. Mary's Foundation are preferred. Dorothy Agnes Fransen was born on August 7, 1925, in Raymond, Minnesota, the daughter of Raymond and Pearl (Christianson) Essendrup. She grew up on a farm near Raymond with 11 siblings, graduated from Raymond High School in 1942 and then began working in St. Paul. On January 16, 1946, Dorothy was united in marriage to Robert J. Fransen and they made their home in Willmar. Dorothy was employed for over 40 years as an accountant at Rice Memorial Hospital. When Dorothy retired, she continued as a volunteer at the hospital gift shop. She and Robert also delivered meals on wheels throughout the Willmar community. She was a life long member of the Church of St. Mary where she was active with the Daughters of Isabella and delivered communion to patients at the hospital. Dorothy also served as an election judge. Dorothy and Robert had the opportunity to do lots of traveling during their retirement years. They enjoyed many bus trips to various locations and also several trips abroad. Their favorite place of all was Kona Hawaii. Dorothy loved spending time with family and always made the holidays so special. She was a kind, gracious and loving person that will be missed. She is survived by her two daughters, Sandra Christianson of St. Cloud and Jan (and Curt) Wussow of Wayzata; six grandchildren, Chad (and Becky) Christianson, Tim (and Jane) Christianson, Paul (and Margaux) Christianson, Joy (and Brent) Scheil, Emily (and Matthew) York and Kelly (and Ian) Stade and nine great grandchildren, Collin, Caylee, Mercedes, John, Leyton, Kyle, Fletcher, Gratia and Sidney. Also surviving are two brothers, Ervin (and Alice) Essendrup of Willmar and Raymond (and Eileen) Essendrup of Hamel; five sisters, Lorraine Bohlsen of Willmar, Verna (and Richard) Aiekens of Clara City, Bonnie Hansen of Willmar, Arlene Beers of Hopkins and Colleen Neuland of Hopkins; and a sister-in-law, Bette Fransen of Willmar, besides other relatives and friends. She was preceded in death by her parents; her husband, Robert in 2015; a son-in-law, John Christianson; one sister, Adeline; and three brothers, Marlin, James and Gerald.